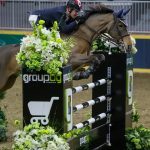 TORONTO, Nov. 15, 2014 /CNW/ – The International Division at the CSI4*-W Royal Horse Show ended with a seven-way foot-race tonight, and it was Belgian Nicola Philippaerts who emerged victorious. The initial track of 16 jumping efforts set at 1.60m by course designer Guilherme Jorge of Brazil, was set with a tight time allowed of 79 seconds. 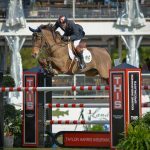 The first two riders in the ring (Canada’s Ian Millar and Quentin Judge for the United States) both jumped clean, but for one single time fault. Fortunately American Todd Minikus was able to show everyone how to do it, leading a select group of riders to a second round tie breaker. ked against many. Although Minikus had the fastest time of the second round, he also pulled a rail in the process. 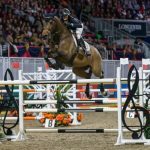 Switzerland’s Beat Mandli, competing at The Royal for the first time, opted for the conservative clear for ZaZa Harveyin the jump-off, which served them well, slotting into the runner-up position. The remainder of the field although fast, each pulled a rail – in fact all were faster than Mandli but in the end it was the clean round which mattered most. The “Braeburn Farms” Leading International Rider Award went to McLain Ward of Brewster, NY. With grace and wisdom, he admitted he simply made a mistake in the class tonight, taking a “pull” in the jump off, rather than trusting his horse. 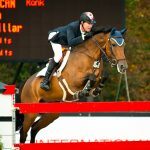 Jonathon Millar received the Lt. Col. Stuart C. Bate Memorial Trophy and was named the Leading Canadian Rider of the competition. The All Canadian Cup presented to the leading Canadian-owned horse went to Game Ready, owned by Susan Grange and ridden by Ireland’s Conor Swail. The spectacular grand finale to the $25,000 Royal Championship Six Horse Hitch competition sponsored by Ames Construction went to the Hitch of the Ames Percheron Farm, from Jordan, Minnesota. The hitch was driven by Travis Shaw. Hackney Horse World Champion went to Heartland Goodbye, owned by Edward Oschsenschlager and driven by Rodney Hicks. Sunday’s horse show is FREE with general admission to the Fair and features Children’s Hunters, Junior Jumpers, the Royal Pony Jumper Championship as well as Guy McLean to close the Royal Horse Show for another year. Image with caption: “Jonathon Millar (L) of Perth, Ontario received the Lt. Col. Stuart C. Bate Memorial Trophy and was named the Leading Canadian Rider of the competition. 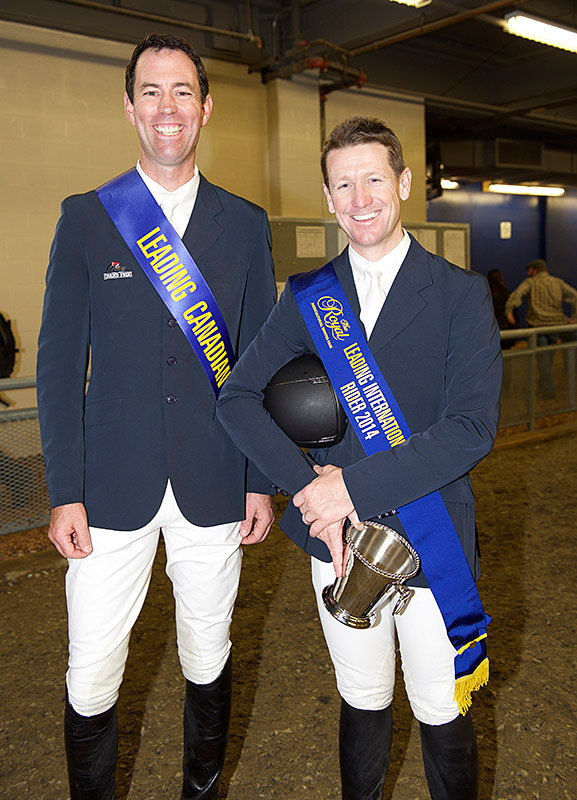 Two-time Olympic gold medalist, McLain Ward (R) of Brewster, NY, earned the “Braeburn Farms” Leading International Rider Award. 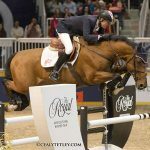 Photo: Michelle Dunn (CNW Group/Royal Agricultural Winter Fair)”.